Nicola Gale is currently a Senior Lecturer in the Department of Psychology teaching on the Professional Doctorate in Counselling Psychology. Her current teaching focus is on leadership, management, supervision and consulting. She has also taught extensively on subjects including professional standards of practice in psychology; diversity, equality and inclusion; practice supervision; and clinical practice including cognitive behavioural therapy, person centred approaches, theory advances (including mindfulness and DBT), and psychopathology. Nicola is currently one of the admissions tutors for the programme. She has previously held roles related to professional standards; pastoral tutoring including clinical placement and professional development oversight for tutees; and has led various teaching modules. Nicola is a Chartered Psychologist (Fellow) and HCPC Registered Psychologist. She is the immediate past President of the British Psychological Society (BPS) and was President in 2017-2018. 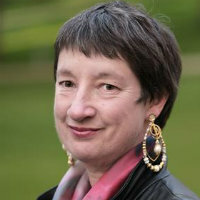 She has at various points in time held a number of roles within the BPS including as Chair of the Society’s Representative Council, a member of the Professional Practice Board, on the Ethics Committee and on the former Policy Network, and was a past Chair of the Division of Counselling Psychology. She chaired the working group that revised the BPS Practice Guidelines in 2017. She represents the BPS in Europe (the European Federation of Psychologists’ Associations) and internationally (the International Union of Psychological Science). She has also served on the Organising Professional Committee for Psychology at Unite the Union. Nicola’s most recent clinical role was Clinical Lead and service manager for an occupational health psychology service at a London NHS Foundation Trust, a service for NHS staff where the work had both a mental health and organisational focus. Prior to training as a psychologist Nicola’s career was in HR development and organisational development and training; in professional services as a management consultant; and as an accountant working in financial management, reporting, regulation, audit and investigations. Nicola has experience in fields including strategy, organisational development and change; people selection, development, training and coaching; performance improvement; operational, people and financial management; and has consulted to organisations in different industries and sectors, and worked on projects across Europe and internationally.